How is the old pool surface / plaster removed? Most companies bring in a crew of workers with jackhammers. They use the jackhammers to break up the gunite and plaster on the side of your pool. 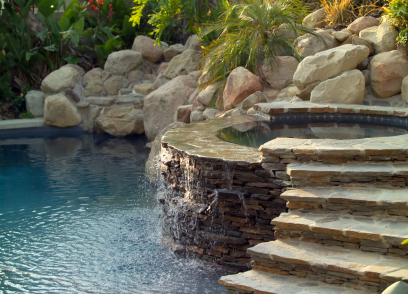 Here’s the problem with this method — it can damage and weaken the structure of the pool. That can cause many problems for you down the road. Especially if the pool has already been replastered and jackhammers were used then too. A much better solution that cares for your pool is WATER BLASTING. We are one of the only companies in Southern California that have made the heavy investments into water blasting equipment for pools. The reason is that water blasting allows us to control the depth and the pressure needed to remove the old plaster pool surface. This process does not weaken or compromise the pool’s structure. This can save you massive headaches and $1000’s. Does the company use subcontractors or are the workers actual employees? On the surface, you may not think this makes much difference to you the home owner. However, if you talk with other homeowners with experience hiring contractor work, you quickly find out how much it matters.When subcontractors are used, finger pointing can happen. This is where the company says that the company they hired to do the demolition, or plumbing or any other part of the job is to blame for something. Then the subcontractor company says, no, it’s the main company’s fault. Lots of finger pointing is very frustrating for the home owner. It happens way too often when a company uses sub-contractors for pool work. When subcontractors are used, company values vary. This means the main company may have very high standards for being on time, doing excellent work and caring for the company. But the sub-contractor may not have the same standards which happens often. This results in poor service for you. Additionally, if something goes wrong (which can happen more often when using sub-contractors for pool repairs), who will take responsibility? Skinner Swimming Pool Plastering does not use subcontractors for the core part of our work. We have experienced, well trained, on-time and nice employees. We truly take care of our customers much better than most companies.